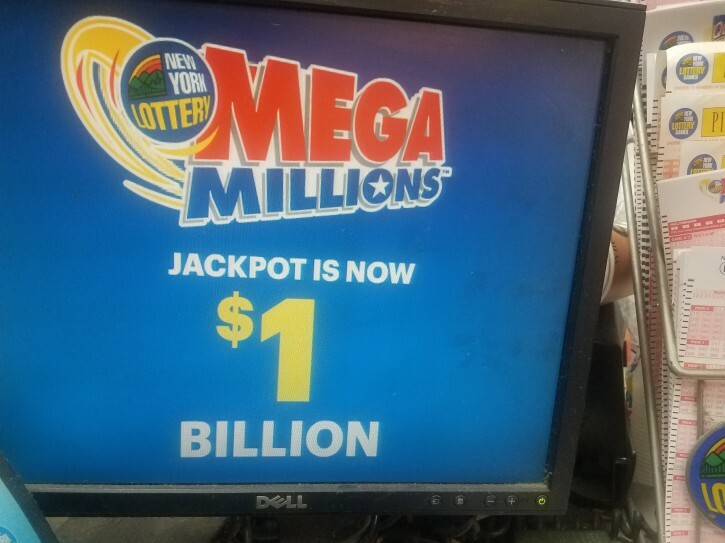 New York - The estimated annuity value of the jackpot for tonight’s Mega Millions drawing has been increased to $1 billion. This is the largest jackpot in the game’s history and the second time a lottery jackpot has reached $1 billion. In 2016 Powerball had a $1.586 billion prize. The cash value of the jackpot is $565.6 million. Tickets for Friday’s night’s drawing can be purchased until 10:45 p.m. The live drawing will be televised at 11 p.m.
$6.82 billion – Total ticket sales in New York since NY’s first Mega Millions draw in 2002. $2.389 billion - Total New York Aid to Education generated by Mega Millions ticket sales. 36 – Number of New York Mega Millions Jackpot winners since 2002. $3.192 billion – Amount paid to those 36 winners. $326 million – Largest Mega Millions jackpot won by a New York resident. $405.1 million – Amount won by 1,549 second prize winners. 10:45 p.m. – Time that ticket sales ends tonight. 1- First Mega Millions jackpot of $1 billion. Previous high was $656 million in 2012.